Drunk Nothings: Moving on up to Heaven! BOSTON -- Paul Benedict, the actor who played the English neighbor Harry Bentley on the sitcom "The Jeffersons," has died. Benedict was found dead Monday on Martha's Vineyard and his brother, Charles, said authorities were still investigating the cause of death. Benedict began his acting career in the 1960s in the Theatre Company of Boston, alongside such future stars as Robert De Niro, Dustin Hoffman, and Al Pacino. Benedict went on to appear in a number of movies, including a role as the oddball drama director in "The Goodbye Girl," with Richard Dreyfuss. He also played a man mistaken for a Broadway heavy -- in the credits listed as "Not Guffman" -- in the Christopher Guest documentary-style comedy "Waiting for Guffman." 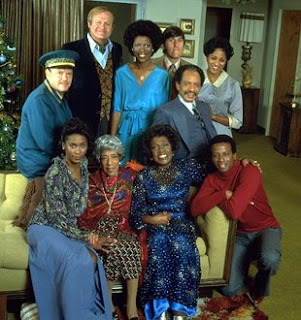 But he was mainly known for his role as Harry Bentley in "The Jeffersons," which ran on CBS from 1975 to 1985. Benedict grew up in Boston and attended Suffolk University.